The cultivation of edible mushrooms is susceptible to suffer certain diseases caused by a number of diseases and pests. Fungal, bacterial and mushroom flies conduct to significant reductions of productivity and a substantial impact on mushroom quality. To minimize losses, improve productivity and achieve healthier food, the biological treatment is emerging as a real alternative to reduce the over use of chemical pesticides in this agronomical activity. 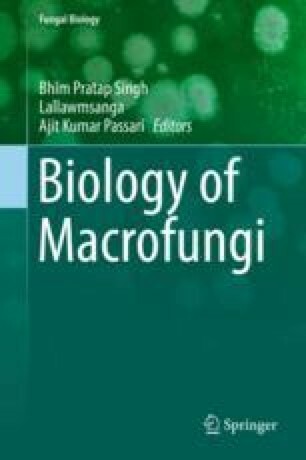 The present chapter compiles the current knowledge to effectively execute biocontrol of microbial pathogens harmful for the mushroom crops, in the form of bioactive compounds from plant extracts, bacterial strains showing antagonism to the causative agent or nematodes infesting fly larvae. Besides, recommendations in respect to the tools required for the design of integrated management programs for the control of diseases and pests are discussed. This article has been funded by the European Union’s Horizon 2020 research and innovation programme under the Marie Sklodowska-Curie grant agreement No 742966. Some of the pictures attached in the text have been kindly loaned by CIES (Antonio Martínez Carrasco).